The magical event of growing and birthing a baby is not lost on me. If anything, I appreciate my body even more after birthing four babies. But I refuse to ‘let myself go.’ I will admit that I wear my hair in a mom-bun more days than not, and I live in leggings. However, I exercise. I try to put on a bit of mascara and lip gloss and I do what I need to feel happy throughout this stage of motherhood. I workout for my health, for my children, for my relationship, and for my sanity. Don’t get me wrong, my 34-year-old body is not the same as my 20 year old body, but exercising helps me to feel more confident and happier as the years roll by. 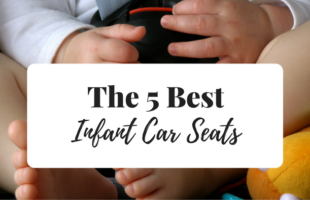 I just gave birth to my fourth baby a few months ago, and as life does, the weeks blurred by. Breastfeeding helps me to take off most of my pregnancy weight (did you know? You can burn 300- 500 calories a day from breastfeeding, 1000 calories with twins), but working out is what makes me feel strong. I have failed to mention thus far that I am a certified pre- and postnatal exercise specialist with a degree in exercise physiology. Ran my first marathon one year after the birth of my third baby, boosting my self-esteem beyond words. I have worked with many women on their postpartum body, and I enjoy helping mothers find a new confidence after birth. 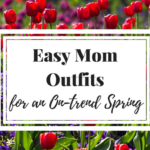 If you are poking at your postpartum jelly-like abdomen right now and staring at the beautiful baby you birthed, but about to go crazy because nothing fits and you feel completely blah about yourself, it’s time to get a plan in place. Let me be clear, you need to listen to your body, not cause stress too soon after birth, wait for bleeding to completely stop, and speak to your doctor before jumping in feet first to working out. 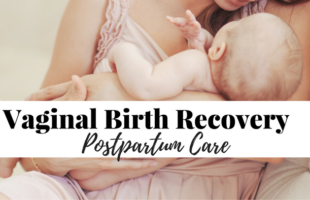 You are more than capable of letting your body start the healing process before starting an after baby workout – if anything, it is more important to allow this process the time needed than it is to start doing sit-ups. 1. Work with a pre- and postpartum exercise specialist and trainer. 2. Join a gym and take classes. 3. Log-in to YouTube and search for postnatal workouts. 4. Purchase a DVD set. 5. Start working out on your own. 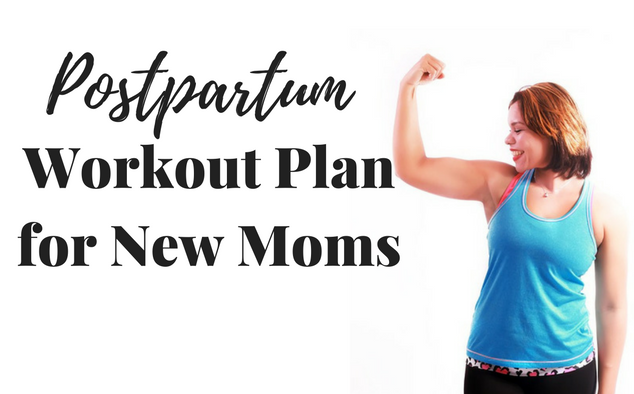 If you are working out on your own, I would love to provide a few great exercises and ideas to start you on creating your postpartum workout. 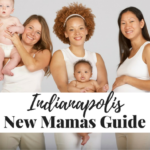 • Breastfeeding burns calories, but not every mother loses her desired weight while nursing. The body holds onto healthy fats to keep the milk supply strong. • Supplying the body with healthy foods, and cutting processed items and sugars (and diary) will help allow the body to utilize food as energy instead of storing unneeded weight. 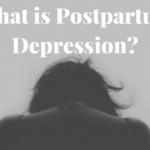 • There is typically a plateau that occurs postpartum in which weight loss stalls. Between 4-6 months after giving birth, there tends to be a natural shift with hormones that helps shed a few more pounds. If you have the time, circuit training (completing timed exercises back-to-back) will be the most effective way to gain strength and shed baby weight. Here are 5 things to focus on in your postpartum workout plan. MOVE. This is your cardio. You can move by adding additional steps into your day, jogging, running, utilizing cardio machines, or participating in cardio based classes/DVDs. The key is to be moving more than you are stagnant, and you must ensure that your heart rate rises above it’s typical rhythm. When you raise your heartrate, it sends the message to the body that it’s time to work, grow, and gain strength/endurance. STRENGTH. Utilizing weights or your own body weight can both be beneficial. Fancy, hard-to-do exercises are not needed to make your stronger. Lunges, squats, push-ups, and pull-ups can be done daily to meet your goals. Watching videos or taking classes are great ways to ensure that you are completing the exercises correctly. CORE. Core strength is important for overall health, and pregnancy alters the state of the abdominal muscles. Take the time to focus on core strength exercises such as planks, supermans, and balancing work to help pull those muscles back to where they belong. STRETCH. When you skip stretching, you are hurting the body. Each day, you should dedicate at least 10-20 minutes doing an overall stretching session. Yoga poses such as child’s pose absolutely can be included. Focus on the muscle groups that were just exercised, but don’t neglect the rest of the body. Do this before and after. PATIENCE. Be kind to yourself, as you grew, birthed, and are nourishing a baby. Keep a balanced lifestyle and know that you will regain and possibly surpass your pre-baby self with dedication and patience. A woman’s body is capable of so much, including becoming stronger and reaching goals never accomplished before having a baby. Remember to be kind to yourself. Give yourself time to heal and to get to your goal. Check with your doctor before starting this postpartum workout plan. You got this mama! Elizabeth MacDonald, a creative content writer at My Baby’s Heartbeat Bear, a brand that makes recordable stuffed animals, the best pregnancy gift, to record your baby’s ultrasound heartbeat. With wine in hand, Elizabeth tries to find the positives hidden in the messes of parenthood. There never seem to be enough hours in the day, but filling the minutes with memorable moments keeps her smiling.